Individual endorsers of the event included Bill Henning. The Manifesto Commemoration Committee included Eric Canepa, coordinator; Sam Anderson, Sylvia Aron, Steve Brier, Mary Boger , Kira Brunner, Andrew Comer, Peggy Crane, Steve Duncombe, Peter Filardo, Rosa Garcia, Dan Georgakas, Joan Greenbaum, Ron Hayduk, Bill Henning, Diane Greene Lent, Danny Luce, Bill Koehnlein, Biju Mathew, Eli Messinger , Liz Mestres, Yusuf Nuruddin, Adele Oltman, Ed Ott, Leo Panitch, Renee Pendergrass, Merle Ratner, Colin Robinson, Rosina Rodriguez, Frank Rosengarten, Rob Saute, S Shankar, Sean Sweeney, Kit Wainer, Paul Washington, Juanita Webster, Ethan Young. In 2009 Bill Henning, served on the Steering Committee of Labor Campaign for Single Payer. 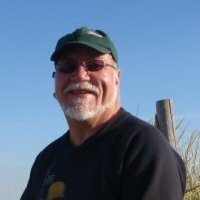 In 2009 Bill Henning, Vice-president of CWA Local 1180 served on the Advisory board of the Center for the Study of Working Class Life. In 2009 Bill Henning was listed as an endorser of the Center for Labor Renewal. At a November 2009 event, organized by the Metro New York Labor Communications Council, panelists agreed on one thing —labor can’t allow Democrats to go down to defeat at the midterm elections, and have to defend Obama. “There’s nobody better out there,” said Bill Henning, CWA Local 1180 vice president. Henning is listed as an endorser of the Campaign for Peace and Democracy, as of March 15, 2010. In 2012 Bill Henning served on the Board of the Vietnam Agent Orange Relief & Responsibility Campaign. Bill Henning pledged support for Bernie Sanders through Labor for Bernie, a "nationwide network of labor activists, backing Bernie Sanders' 2016 presidential campaign." This page was last modified on 14 January 2016, at 16:28.